Engineer and producer Craig Silvey has been known to mix singles, such as Gabrielle's mega‑hit 'Rise' in 2000, but his mainstay is working on entire albums. His discography features names like REM, Santana, Ray Davies, Nine Inch Nails, Linda Ronstadt, Aaron Neville, Pearl Jam, the Coral, Portishead, the Magic Numbers and New Young Pony Club, along with classical acts such as the Kronos Quartet and John Adams. The most recent highlight is Arcade Fire's The Suburbs, an album that has made number one in the band's native Canada, the US and the UK, as well as wowing critics worldwide. 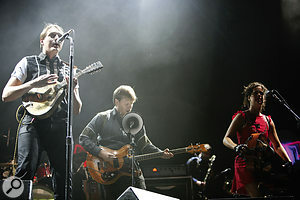 Although the band's three albums, Funeral (2004), Neon Bible (2007) and now The Suburbs, have been increasingly successful, their singles continue to barely register in the charts. The new album's title track and first single reached number 94 in Canada and didn't even chart in the UK and the US, while the UK single 'We Used To Wait' only managed a measly 75th place. In short, Arcade Fire are that increasingly rare, old‑fashioned thing: an album act. The Garden is based around a vintage Neve 8026 desk. "I can't stand the sound of MP3s,” declares Silvey, with some vehemence, and he's not a fan of digital audio in general, even the HD variety. He currently works from a studio in East London called The Garden, owned by The The's Matt Johnson, and it's filled to the brim with Silvey's antique and vintage gear, which he has collected over two decades. 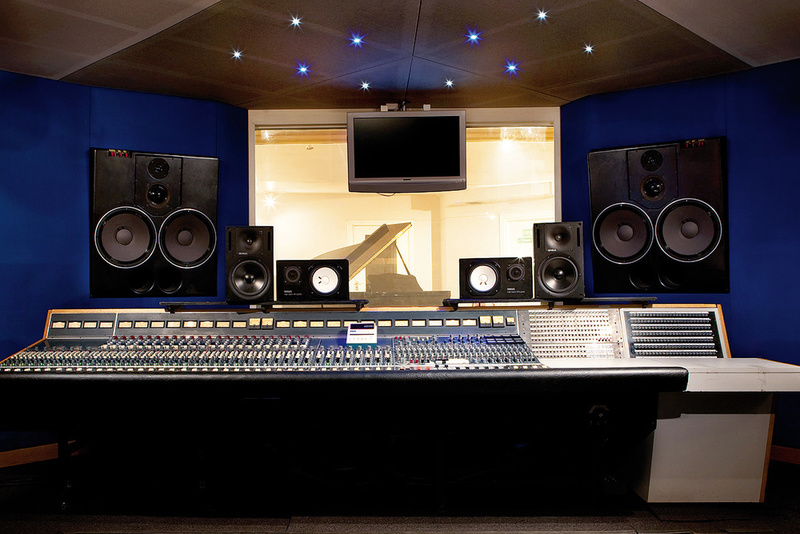 Pride of place goes to his 40‑input Neve 8026, loaded with 1084 and 1076 modules. There's also a Neve BCM10 sidecar, a Studer A80 24‑track, and a wealth of outboard, including EQs by Helios, John Hardy and Calrec, compressors such as the Thermionic Culture Phoenix, Universal Audio 1176 and Urei LA4A, mic preamps by Telefunken (V76, V72), Summit and Tube‑Tech, a whole posse of vintage mics, and his beloved Mastering Labs monitors, the legendary ML10s. 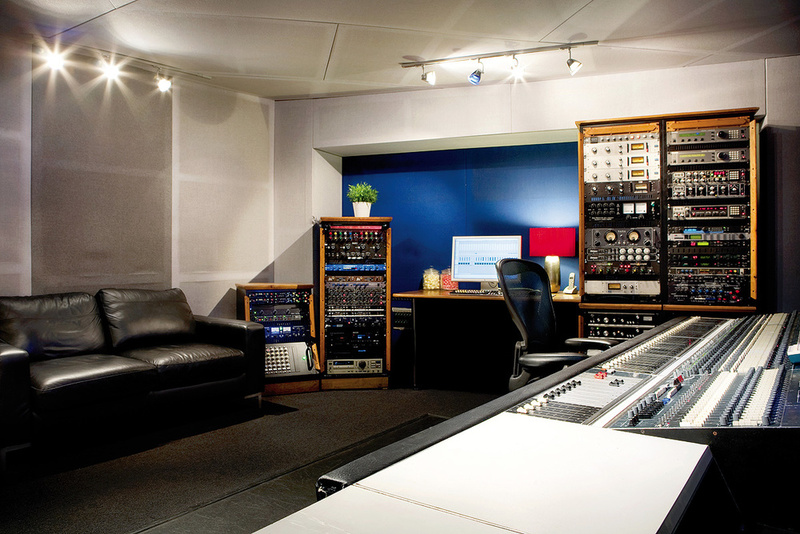 Aptly, the place is billed by the studio's promoters Miloco as a "vintage tracking heaven”. Silvey puts his love of analogue technology down to his formative days as an engineer. Born 41 years ago in the Bay Area of California, he learned to play trumpet and piano in his pre‑teens. As a teenager, he discovered rock & roll and became fascinated by recording and production. On leaving high school, he worked in local studios and also did an internship with George Massenburg, who a couple of years later got the young man a job at George Lucas' Skywalker Sound scoring studio. Silvey quickly moved up the ranks to become chief engineer there from 1992‑95, during which time he worked with a number of great producers, among them Massenburg, Phil Ramone and Walter Afanasieff. According to Silvey, this meant that a lot of his education came from "guys who had had their training in the '60s and '70s”. He became a self‑declared "obsessive gear nut”, and after leaving Skywalker, put the extensive collection of gear he had gathered to good use in a studio in San Francisco which he called Toast, and which continued until 2002. However, by the late '90s Silvey had fallen in love with a British woman and with British music ("there seemed to be more creativity among British musicians and bands”), and relocated to London ("I am some kind of weird hybrid now: half‑American, half‑British”). 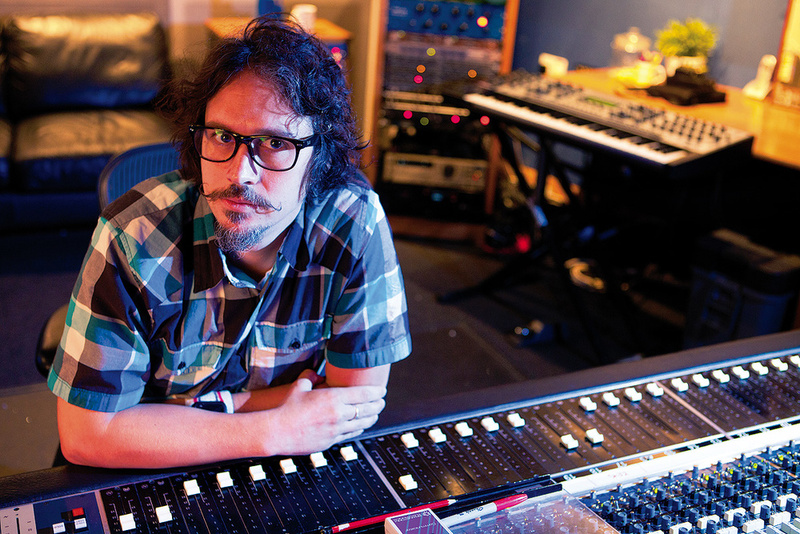 For many of his London years, Silvey worked out of Ray Davies' Konk Studios, but as of 2009, The Garden is his studio home, and he's filled it to the brim with the gear he's collected over the years. Most of Craig Silvey's sound shaping is done using the outboard gear he's collected over many years. Apparently, Arcade Fire and Silvey are kindred spirits in their love of analogue and old‑fashioned recording methods. The first contact between the two camps was made in December 2009, when engineer Mark Lawson sent a 96/24 Pro Tools file of 'The Suburbs' across the Atlantic, with the request for Silvey to have a go at mixing it. 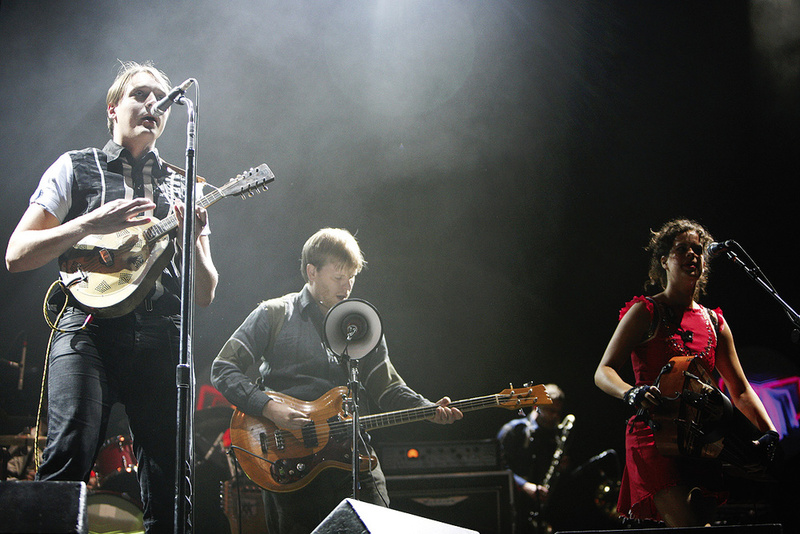 The connection was made because of the English‑American's mix of Portishead's Third in 2008, an album widely admired by musicians, including the members of Arcade Fire. Immediately after completing work on Third, Silvey and Portishead's Geoff Barrow co‑produced The Horrors' second album Primary Colours (2009), which also had a strong impact among musicians. 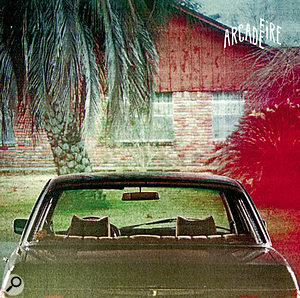 Arcade Fire had been working on what was to become The Suburbs since the beginning of 2009, together with Lawson and co‑producer Markus Dravs, and, after several months' work, felt that they needed a fresh pair of ears to make sense of what they had and draw the whole project together. Silvey: "When they sent me 'The Suburbs', there were hardly any instructions, apart from 'don't do this' and 'don't do that' from a technical perspective. They simply wanted to see what I would do with it. The session was very well‑organised and named, and everything had its place. 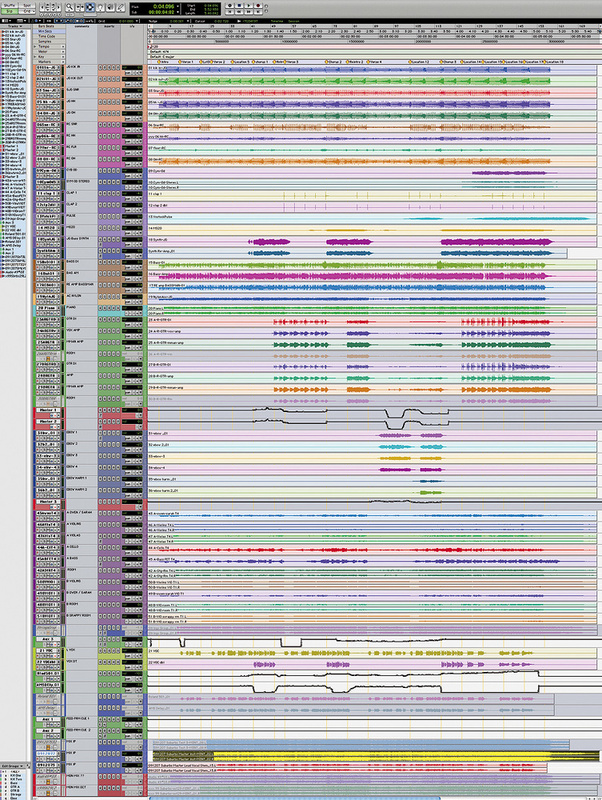 The tracks had been meticulously recorded and cleaned up: they could have given me two 24‑track multitracks. There was none of the mess that I sometimes encounter with Pro Tools Sessions, with crazy routing, inconsistent levels, dozens of plug‑ins that leave me having to decide which ones are useful and which not, and so on. Mixing 'The Suburbs' was therefore relatively straightforward. They had envisioned that I mix the entire album remotely, from The Garden, but they then decided that they wanted everyone to be together. So I had just set up my studio and gotten comfortable, and then in February this year I went to Montreal where I spent three months mixing the rest of the album, and also tweaked my mix of 'The Suburbs'. 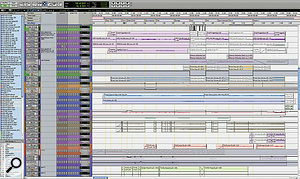 A composite screen capture showing the entire Pro Tools Session for 'The Suburbs'. According to Silvey, the use of the single tape recorder and the McCurdy desk was part of a number of restrictions the band and the production team had imposed on their way of working. Despite this, the multitracks for The Suburbs more often than not contained 60‑plus tracks for each song, with the overview of what was recorded, and why, sometimes in danger of being lost. Silvey: "It was their third record, and given the success of the first two, they now had the time and the financial means to try anything and everything. They needed to do that, but they also knew that this could be a recipe for disaster. This was the main reason for putting limitations on the way they recorded, and then the rest of the time they worked out how to get around these limitations. It was also, for example, why we mixed at Frisson, rather than at Celine Dion's studio in Montreal, which has a 96‑input SSL that would have, in many ways, been much easier, particularly as the Neve at Frisson doesn't have workable automation. Working at Celine Dion's studio would have given us more options, but we didn't need these, we needed restrictions. "There were several reasons why many of the Sessions turned out to be so huge. There are seven musicians in the band, and everybody is really talented and everybody plays different instruments, and things were being recorded in several different ways, often simultaneously, and they often used several mics to record each part. It was tough keeping an overview of everything that was recorded, and Mark Lawson would have a thousand spreadsheets going about what was done when and by whom and why. Many Sessions were so elaborate that he'd need two or three days preparation for each song that I was going to mix, to compile everything and load it into one Pro Tools file. As talented as everyone was, including Mark and Markus and the other engineers that were involved, after having been involved in it for so long, by the time they approached me I think they really needed someone with an outside perspective. 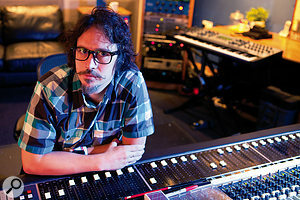 Given that the Session of 'The Suburbs' was clean, well‑recorded and well‑organised, Silvey could go straight into mixing the song on his 40‑input Neve 8026. With the Session consisting of 50‑odd tracks, the input restrictions on the Neve meant that some prior organisation was necessary. 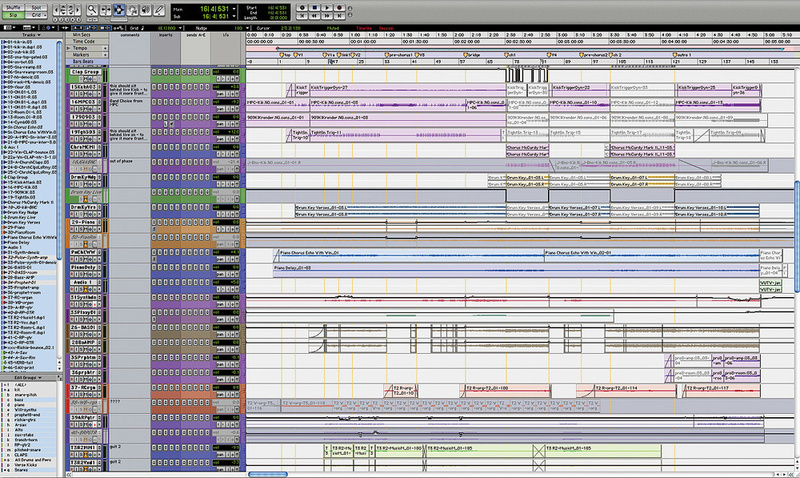 Silvey: "I had to do some grouping in Pro Tools. But the Neve also has a 24‑channel monitor section, which I used for effect returns and any tracks that spilled over. I also used a Neve BCM10 sidecar. I also had a fair amount of hardware outboard inserts in Pro Tools. A signal would go out of Pro Tools to a compressor, come back into Pro Tools and then come again on another set of outputs, which I could automate in Pro Tools. I also did some level automation in Pro Tools — using a Pro Control, I can't stand doing moves while looking at a computer screen — but overall that was minimal, so most of the mix was a live performance on the desk. I find that if I can set up a good general balance without reverting to automation, or without having to move the faders, it means that the mix is already in a good place, because things are not sitting on top of each other. That really comes from the old school of thinking about mixing. I try to make my mixes as wide and as deep and as tall as I can, really place things in 3D, with nothing sitting on top of each other. Drums: GML 8900, Audio Ease Altiverb, Neve EQ. Keys & bass: Urei LA4 & LA2A, Roland RE501, Thermionic Culture Culture Vulture, Universal Audio 1176, Neve EQ. Guitars: Universal Audio 1176, Neve EQ, Ursa Major Space Station, Helios EQ, Lexicon Super Prime Time, Ibanez AD202. "The nylon guitar is another core track, which had pretty heavy compression on it with an 1176, plus board EQ. To make it jump out a little more I also used an Ursa Major Space Station, on an early reflections program. When you don't put too much feedback on, it doesn't sound like reverb or delay but it does make it sort of stand out. With regards to the other guitars, there are two sets of guitars, named 'A' and 'B', while 'R' stands for Richard [Reed Parry], just to identify who played. Those names are given by Mark Lawson. The 'A' and the 'B' guitars are the same part, played twice, and then each recorded on four different tracks: DI, two amps, and a room mic. I turned off the room tracks, because I felt they weren't needed, and then balanced the other three tracks internally in Pro Tools. I bussed guitar 'A' to track 'Master 1' and 'B' to 'Master 2', and they go to the desk and are sent to my Helios EQ modules and 1176 compressors. The guitars were well recorded and didn't need much treatment, just a little more front, and the Helios modules are great for that. You can crank 2k with 15dB on them and the guitar will sound like on a Led Zeppelin record! Strings: Thermionic Culture Phoenix, Lexicon Super Prime Time, Roland RE501. Vocals: Empirical Labs Distressor, Tube‑Tech EQP1A, Roland RE501, AMS delay. 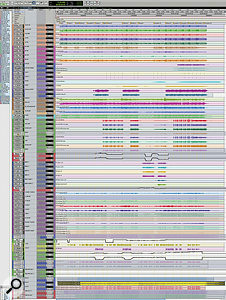 This screenshot showing part of the Session for 'We Used To Wait' illustrates how things had changed by the end of the mixing sessions in Montreal. As Craig Silvey explains in the main article, the title track was the only song from The Suburbs that was mixed almost entirely in London. The rest was mixed by him at Studio Frisson in Montreal, on a Neve 8034‑8014 desk, sometimes with the help of a Neve sidecar and a McCurdy desk. To give some insight into the proceedings in Montreal, Silvey elaborates a little on his mix of the second, UK‑only, single from the album, 'We Used To Wait'.